Whether it is on a rubble pile or snow search, keep your dog's paws safe and secure no matter what! 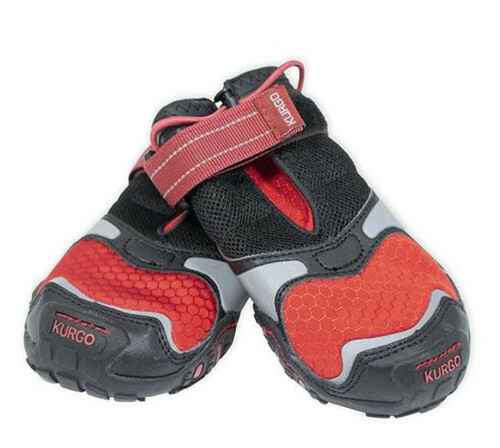 Compared to other dog shoes, these feature a double closure around the ankle to make sure they do not fall off during motion and to maintain stability and fit. These doggy boots are made of a water-resistant tightly woven nylon mesh and breathable synthetic leather upper, and a sole that is designed to mimic the structure of dogs' pads. Measure your dog standing on a piece of paper. Quickly mark both sides of one paw—Done! Give your dog a much deserved treat for being so patient.